Perodua UK is no longer importing cars into the UK. The Malaysian brand sold just 122 examples of the Myvi – the only model available in the UK - over the course of 2013 and the decision has been made to cease imports. However, Perodua Malaysia has committed £1.2m to ensuring there is parts and servicing availability for existing customers for the next eight years. In a statement to Malaysian news outlets, the Perodua president and CEO, Datuk Aminar Rashid Salleh said: "We remain committed in supporting our customers in the UK and our business partner, despite no longer supplying our vehicles here." A spokesperson for Perodua UK said there are still vehicles in stock, however supply is limited to selected dealers. Existing owners will have access to parts for maintenance, service and repair via Perodua UK for at least the next eight years. There are currently 55 service dealers in the UK. Perodua first started selling vehicles in the UK in 1997. Since then it has sold the Myvi, the Kelisa, the Kenari and the Nippa, with around 13,000 vehicles sold in total. The Nippa was available until 2002, while imports of the Kelisa and Kenari ceased in 2009, leaving just the Toyota Yaris based Myvi in Perodua’s UK portfolio. The Myvi is the bestselling car in Malaysia, however UK sales have been slow, with just a handful of examples being registered each month according to SMMT figures. They should emulate the Dacia/Renault dealership alliance as Peroduas are re-bagged Toyotas. 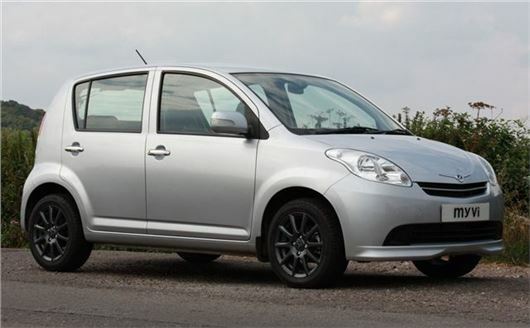 I was a fan of Daihatsu and Perodua, I do think the UK has enough market share for a good, far eastern manufacturer who sells reliable ex-Toyota cars. Maybe Protons tie up with Honda will see the re-emergence of the Proton brand?